Every summer, there seems to always be one trend that simply dominates and steals the style spotlight in a major way. The past few months, that trend has definitely been the off-the-shoulder (or ‘cold shoulder’ as some call it) style. This look has been seen on the runways, city streets and right here in the marlo office on some of the hotter July & August days. This skin-baring style (a much classier alternative to style ghosts of some summers past…) is showing no signs of slowing down, and I personally can’t get enough of it. 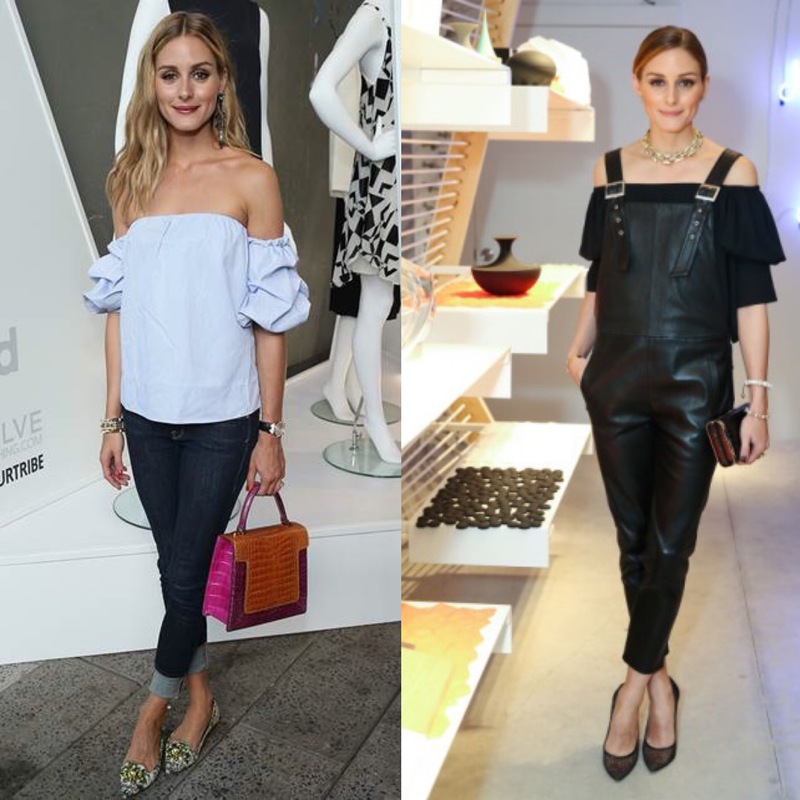 When it comes to the rich and famous who are rocking this collarbone-palooza, few have done it better than our girl Olivia Palermo. The New York socialite and modern-day fashion icon has absolutely slaaaaayed the clavicle game (that’s a thing, right?). Not since Kelly Kapowski at Bayside High and Jennifer Beals in Flashdance has the OTS trend looked so damn good.